The Odisha Fire Services team also left for Meghalaya in a special aircraft to assist local authorities in the rescue of trapped coal miners. 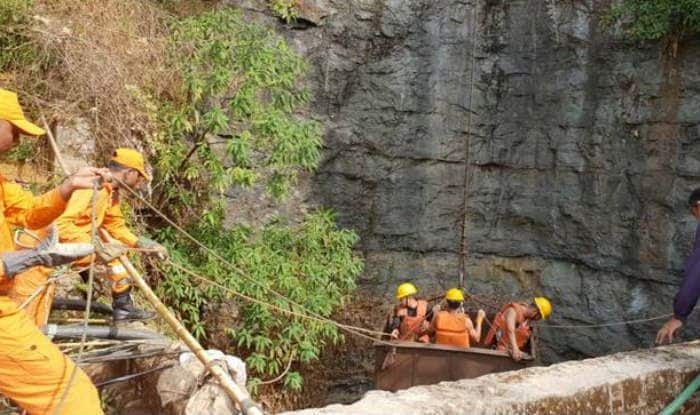 The state government finally gave the nod to assistance being offered by both Coal India Ltd. (CIL) and Kirloskar Brothers, the Indian Air Force C-130J transport airport has carried National Disaster Response Force (NDRF) personnel and equipment to help in the process to rescue the Meghalaya miners. On Thursday, at least two teams from Kirloskar Brothers reached the site 15 days after the tragedy struck. “We are deeply concerned about the trapped miners in Meghalaya and are ready to help in whichever way possible. We are in touch with the officials of the Government of Meghalaya to offer our assistance in this regard,” Kirloskar Brothers Ltd said in a statement. Rescue operations were suspended around Christmas because of inclement weather. Meanwhile, the Meghalaya Human Rights Commission has initiated a suo motu action against the state government and issued a notice for an inquiry into the disaster. The 15 miners have been trapped in the rat-hole like coal-mine in Ksan area of Lumthari village. The water level in the flooded mine in East Jaintia Hills district had also not receded, a senior official said. On December 13, nearly 20 miners entered the quarry owned by Krip Chullet. After reaching the bottom of the pit, they entered horizontal manholes, often termed as ‘rat-holes’, as each just about fits one person. The miners have been trapped in the illegal pit after water from nearby Lytein River gushed into the mine.